Settling Chase credit card with Client Services and letters you want. Client Services is collecting unpaid credit card. Can you settle with them? We have negotiated a settlement with a collection agency called Client Service Inc. (St. Charles, MO) for a onetime payment of $6,000 against a $26,000 Chase credit card debt. Its a 22% settlement. Client Services represents Chase (confirmed with Chase) now that the debt has been charged off (Chase still own the debt) one month ago. Negotiating this amount was surprisingly easy (wondering now if they would have accepted less?! Oh well.....) whereas Chase refused to settle for less than 85% for the 6 months before charge-off - and we offered them $10,000! Client Services has emailed us their settlement letter which states: "In an effort to resolve this account, your creditor has authorized our office to extend a reduced settlement offer on the above balance due. The current settlement offer is outlined below. To accept this settlement offer, please make the initial payment by the date listed beside payment 1. This offer is contingent upon timely receipt of the 1 payment'. This is the entire 'language' however the letter also states who they Client Services is, Chase as the creditor, the amount of the debt, account number, the settlement amount, when the payment is due and contact info. I told the collection agency I was uncomfortable as it does not explicitly state that the payment is 'full and final' or make reference to zero balance upon receipt etc. - so I asked for that language to be added. They refused, saying they can not alter the Chase-approved letter in any way. Do you think this letter is legit and it really is a full and final settlement with both Chase and the CA? Should I go ahead with the settlement (wire transfer of funds - coming from my sister in Europe) - my sister is an attorney (overseas) and says this letter would not be acceptable (insufficient language) in her country - but this is the US so maybe it is good enough? We are nervous we'll pay the money but still be 'on the hook' with Chase or CA for 'more'? I recognize the letter as being a consistent offer for a charged off Chase credit card with Client Services. The settlement letter does appear to have all of the necessary elements to an agreement for settling the Chase debt through an assignment debt collector. The settlement agreement documentation is what you need to beat somebody over the head with if something were to develop later on. Well, the letter and proof of timely payment. You will need to have a copy of the funding transaction along with the settlement letter. If any further collection efforts were to occur by mistake later or your credit report were not updated and still showed a balance due, minus the settlement payment, 60 days after you pay the Chase settlement, you will use the letter and payment proof to correct any errors. 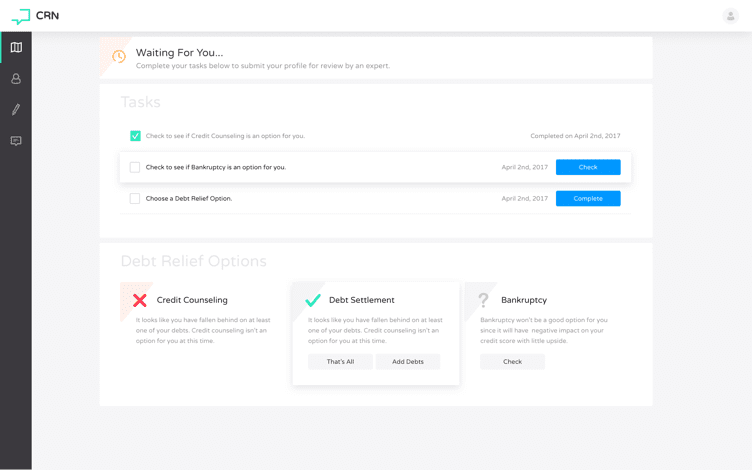 Settling Chase credit card debt with Client Services and leaving money on the table. This low of an offer is not the norm. Anyone reading this should not have expectations of 22%. It’s obviously possible, but not probable based on a host of ways Chase may view your account behavior prior to defaulting on payments. The debt collector may use sophisticated software, or manual review of your credit profile and public assets etc., in order to target a higher settlement percentage. It is sometimes fun to point out the oddity that happened here with your Chase account. The bank digs in their heals at an offer you cannot afford to pay. Chase sends the debt out to a debt collector who they will typically pay 15% or more of what they collect for Chase. Client Services goes to the floor on the settlement and gets less than Chase could have gotten in settlement direct with you, and gets to pay Client Services for the privilege of collecting less than was available. You did well. Congratulations for clearing a healthy sized debt! Readers dealing with debt collectors like Client Services are welcome to post questions and concerns below for feedback. 1) My credit report doesn’t show it being sold to Client Services. It still shows it with Chase but charged off. Should I be concerned about that? 2) I had a second card with Chase and haven’t received an offer for it. Did they likely place this card with Client Services, as well? Not sure what to expect. 3) I still have 4 other cards with other companies. I have not received any offers on those cards. Any point settling the Chase card if I still have these cards I can’t pay? It is normal to have a creditor still show on your credit report as a charge off, and with a balance still owed, but not have Client Services showing on your credit report. The easiest way to verify Client Services is authorized to collect is by calling Chase and confirming it. Chase has relationships with many third party contingency collection agencies like Client Services. I do not think this other account is with Client Services. You can call Chase to find out who they have it with. I probably have a page up about that other collection agency, so be sure to use the search box in the upper right. As far as your other accounts go, what are the balances and who are the accounts with? Thank you so much for the information. Appreciate it. I will call Chase for more information and to verify. The weird thing is I also had a Citi card with a high balance but it isn’t showing on my credit report at all…any idea how that could happen? I would target between 20 and 40 percent on those Chase settlements, and that includes the account Client Services has. Discover and Target I typically target at 50% of the balance for settlement, but there are reasons to shoot for 40% too. If the WalMart account was sold off, let me know who to? If your goal is to settle debts and put this chapter of your financial life behind you, it does make sense to get the out of the way as soon as you can. Most people do the settlements one by one, and as they say up money to handle the next agreement for less, and the next, etc. If you have some other sources of money you can use to negotiate the debts all at once, or quickly one right after the other, I do recommend that. You should not expect to get offers out of the blue on these. You have to be proactive and reach out to negotiate the settlements you can afford. As far as Citibank not appearing on your credit… it happens, but it is not all that common. Does Chase update CR after settlement with Client Services? How is it reported? Will it decrease the balance of revolving accounts increasing the CS? Chase should update your credit report to show zero balance due. It will be a paid collection. That is all you can expect from Chase, and its all you need to start recovering (if you have no remaining unpaid collections). Some people see immediate credit score increases when they resolve collection accounts, while others could see no immediate impact, and some even see a slight decrease temporarily. It can vary from one person to the next. Michael, Citibank charged off my $7110.00 debt April 26th, 2016. Client Services, who represents Citibank, contacted me this week and offered a settlement of $3345.00 which I have to admit is a fair offer. I countered with a $1000.00 lump sum, this was rejected. They are giving me to May 13th, 2016 to pay the amount quoted to me, and if no agreement, I was simply told “they would work on something else”. I can probably come up with $1500.00 to $2000.00 lump sum as a second counter but no more. You can get a better deal negotiated with Client Services, but 2k is probably out of reach. Give me a call to go over some details. I want to see if you have some good talking points for negotiating a really dynamic savings. You can reach me at 800-939-8357, option 2. Michael, since I wrote you, they came back with 2,775.00 a day later. They appear to be very cordial and non intimidating. I would still like to get this much closer to 2000.00. I’ll give you a call to discuss. Thank you. Michael since we last spoke, Client Services on behalf of Citi Bank came down to $2491.00 and I came up to $1800.00. The debt is $7110. So there’s $700.00 separating us from settling. They offered me too pay the $1800.00 and make installments to pay the remainder, I am insisting on a lump sum. They want me to call back Monday, the 16th with an answer, This would be 2 weeks since my initial call with them. I can offer $2100,.00 and see if they would split the new difference of $400.00. The 35 percent that Client Services has on the table now may be as good as it gets. But there may be room to get them closer to 30%, or roughly 2100. If they do not go for it right away you may want to try again next month. Client Services has not had the account very long, and they might loosen up that last few hundred dollars mid next month. If they don’t you may want to consider taking the deal. Citibank sells to debt buyers that may not go this low, and who also sue to collect. Thank you Michael. I will be careful with the negotiating, the last thing I want is what you mention in your last sentence. wait until they offer a 10% … they did it with me. Not all accounts will qualify for 10% settlements. Related to getting sued, I have a $10,000 Citibank credit card that was just turned over to Client Services for Collection (20 days ago). I’m assuming the older the debt is the more options one will have on settlement. That being said, is there a general rule of thumb on the timing of when client services converts these to judgments? I’m a TX resident if that makes any difference. Thanks! It is not always the case that the older the debt, the better and more numerous the options. If it were me, and I had a way to raise about 35% of the Citibank balance, I would look to negotiate the settlement with Client Services now. Can you arrange to put together that much money in the next month or 3? I just received an offer in the mail from this company – the Chase debt recently charged off in the amount of $8141 and they offered me a settlement of $3420. I was thinking of countering somewhere in the $2k range and seeing their reaction. I spoke with client services regarding my chase credit card debt of 9000 this week. I offered 2000 to settle and they countered at 6700. That is my best offer I have via a gift from family. I have discover 11000 that’s about 90 days late. Should I focus my efforts on discover card or try to keep working with chase on this one? Great site and thanks for your help. How long has it been since you made a payment on the Chase account? Let’s connect on the phone for a consul where I can dig into the details more and see if there is something about your situation that suggests Discover get priority over settling with Client Services. There are valid reasons to prioritize one creditor over another even when one account is timed for a better settlement earlier than the other. You can send an email to me using the same address you get these comment notifications from, or submit a consult request.